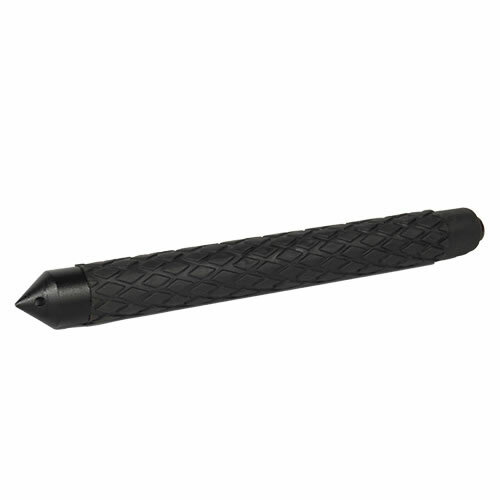 Easily smash and break windows to gain entry or exit with the end cap for your steel baton. Pointed tip focuses the energy into a single small point for maximum effect. 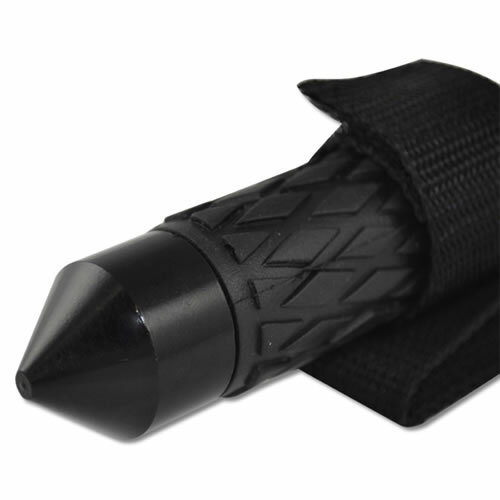 This pointed end cap that easily screws on to the security baton and can be used in many tactical ways for personal protection or window entry. The telescopic steel baton is an awesome weapon on its own. With the added functionality of a glass breaker, you don't need another piece of equipment to shatter a glass window. This glass shatterer replaces the endcap that screws on your extendable baton. Useful for emergency situations where time is of the essence and you need to get inside or outside quickly. Just whack near the corner edge of the window to gain entry. The retractable nightstick is used by police yet is also an ideal weapon for civilians to defend and protect themselves. Since law enforcement personnel have begun using this in place of the wooden clubs of old, regular people have picked up on its effectiveness, concealability, and durability to have around and use for their own personal protection. Using the pointed steel tip, you can focus the power and impact to inflict a devastating blow to your opponent. By jabbing with a hammer fist motion, anywhere you hit with this will cause intense pain and could even break bone. The end cap that comes with the rod does not give you this advantage since it is blunt and flat. Replacing it with one of these pointed smashers gives you more options and doesn't take anything away. Need another reason to own a glass breaker? Glass breaker end cap is a plus. Fits perfectly.